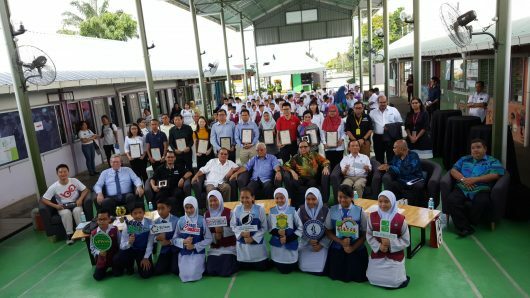 Kuching, 19 March 2019: Sarawak Convention Bureau (SCB) with its Legacy Impact Programme, aims to empower the local community; in particular, the future generation. Continuing the efforts of the award-winning Redefining Global Tribes (RGT) campaign, the bold initiative is centred upon the study on hosting conventions in Sarawak and to date, 10 conferences have agreed to participate. The goal of the programme is to enable delegates to make an impact in the local community upon completing the allocated feedback form, worth USD1 each. With this, SCB has pledged to purchase digital learning kits (Junior Innovate Launchpad) from Chumbaka; an advocate for children’s life skills development through technology. Through its alliance with SCB, Chumbaka will enable up to 1,000 rural school children to learn about technology and equipping them with the essential skills in preparation for the digital future. SCB is vying for 5000 delegates to participate in its effort to achieve approximately RM20,000 worth of kits from Chumbaka. RGT pledges to unite the Business Events (BE) communities around the globe under a single tribe with aligned vision and mission. The campaign which is going from strength to strength reiterates the inclusivity of BE to the community and its identity. Contributing to the Legacy Impact Programme are the 10 participating conferences, namely the 8th International Conference on Bioprocessing (IBA-IFIBiop 2019), Conference on Inclusive Early Childhood Education 2019, 1st World Chinese Medicine Forum 2019, 24th International Kodaly International Symposium 2019, 3rd MSHA International Spinal Health Congress 2019, 6th Movement, Health and Exercise Conference and 12th International Sports Science Conference 2019, Congress of the Pacific Association of Quantity Surveyors (PAQS 2019), IEEE Nanoelectronics Conference 2019, 1st International Conference on Education in the Digital Ecosystem 2019 and The 27th Asian-Pacific Weed Science Society Conference 2019.